You may have picked up on that I have a slight love affair with cheese and chocolate. I mean if I'm going to indulge and satisfy a craving...well its going to either be something with melted cheese or something with rich chocolate. However probably not the same item. I just haven't figured out any ideas on melted Mozzarella with a piece of chocolate cake- the two seem to be in opposition of each other. However there is a restaurant - a glorious hot bed of indulgence- that mixes these two cravings together into a perfect harmony. 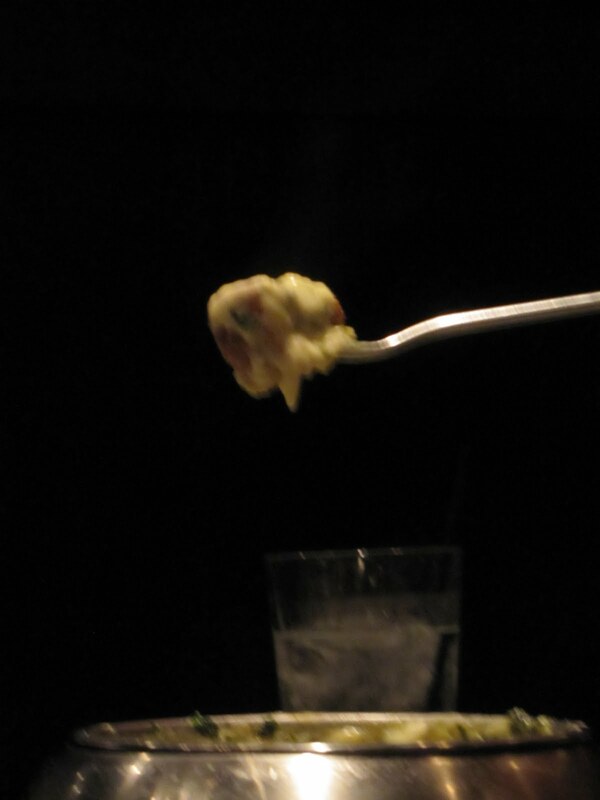 I am, of course, referring to fondue at The Melting Pot. 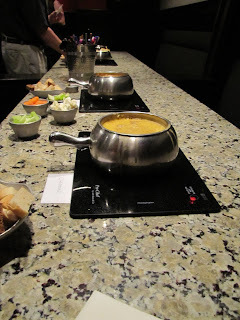 The Melting Pot, started in 1979 has locations across the US, specifically in 37 states, and offers an incredibly fun experience for group dining. 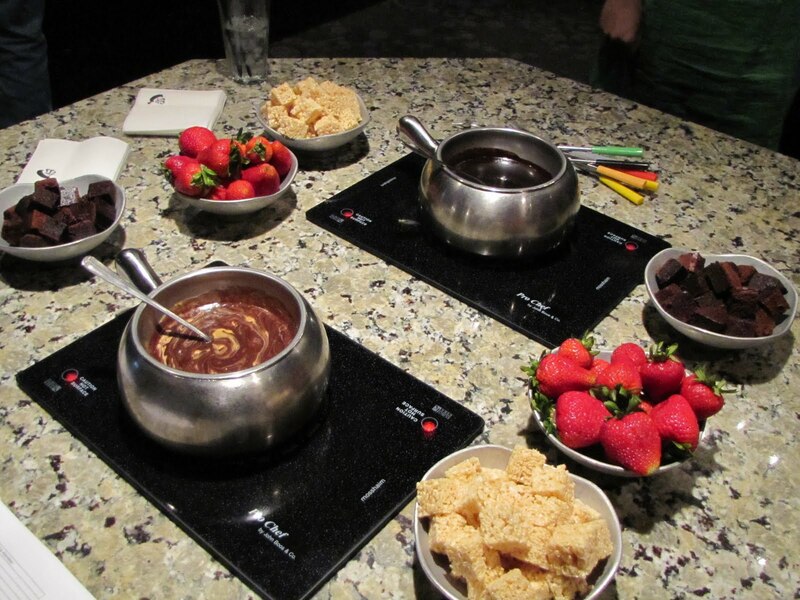 For those of you not familiar with the idea of fondue, its origins are Swiss and revolve around the idea of a communal bowl of a hot liquid (think wine or broth based, oil based, cheese or chocolate based) in which you dip assorted food items and either cook or flavor them. 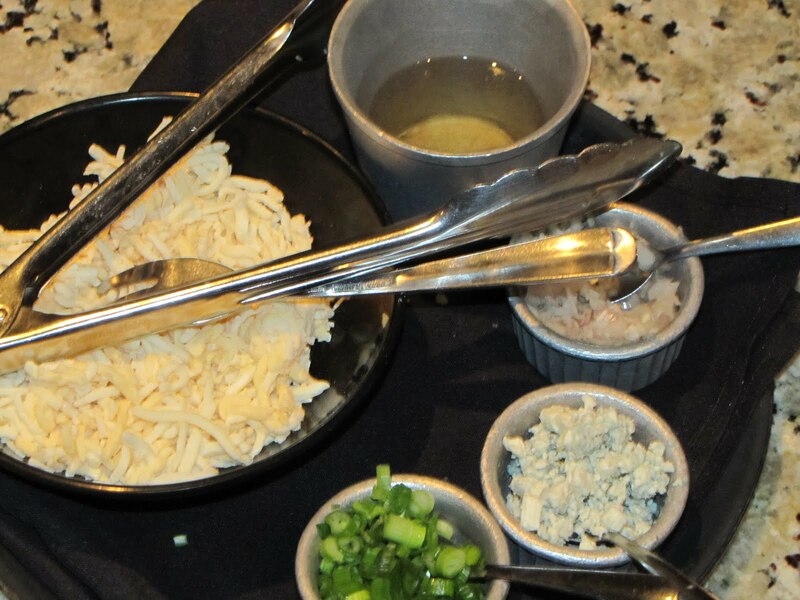 The Melting Pot offers several different options for each type of Fondue, ranging from the classic Swiss inspired concoctions to American twists utilizing Southwestern flavors, or state specific cheeses. 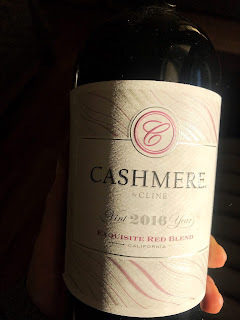 John actually surprised me with a trip to the Melting Pot last fall and we had a ball cooking meats and vegetables in our wine based broth, and even more fun with the appetizer and dessert courses of cheese and chocolate fondues. 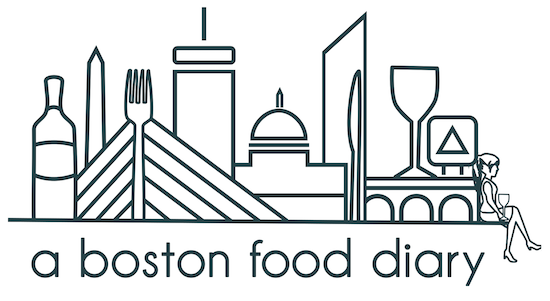 So when I received an invitation to attend a Boston Blogger meet up at The Melting Pot in Boston's Back Bay I immediately responded yes! The meet up was set up in one of their larger private rooms that was set up with four stations of fondue excitement. The first was a long table filled with four different cheese fondues- Traditional Swiss, Fiesta, Wisconsin Trio, and Cheddar. Each one had its own unique flavor enhanced by different ingredients. The Fiesta (my favorite) had a wonderful spicy flavor that I could picture over tacos, while the Classic Swiss had a lovely background of white wine. The Wisconsin Trio obviously had a little Blue Cheese in it with it's tangy flavor, and the Cheddar was just comforting and cheesy where when you pulled your tester out (bread, apples, or crudites) a string of cheese would follow....mm mm. 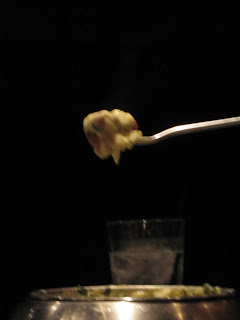 The next table contained two pots of their Spinach and Artichoke Fondue that was basically that great dip on steroids (not that I endorse the use of performance enhancers for any reason) but this stuff was mighty tasty. Through these tables I enjoyed kidding myself that using a carrot stick or a celery stick to scoop up the lovely melted cheese was somehow making it better for me. I'm going to stick with that idea. The next two tables contained the dessert fondues. Oh my goodness! The first with what they refer to as "The Original" which is a delicious mix of milk chocolate and peanut butter (dangerously addictive), and their Pure Chocolate which was just as heavenly. The second dessert table included their Cookies and Cream (Chocolate base with Oreo's crushed in), Banana's Foster, and the Flaming Turtle contained a base of chocolate, with caramel and pecans mixed in and then flambeed...yum. All of these lovely fondues were served with fresh strawberries, pieces of brownie, and rice krispie treats, all in sizes perfect for dipping. Of course I loved all of them, but my favorite combinations were absolutely the rice krispie treat with the Original Fondue, and the brownie piece with the Bananas Foster. Both were out of this world! 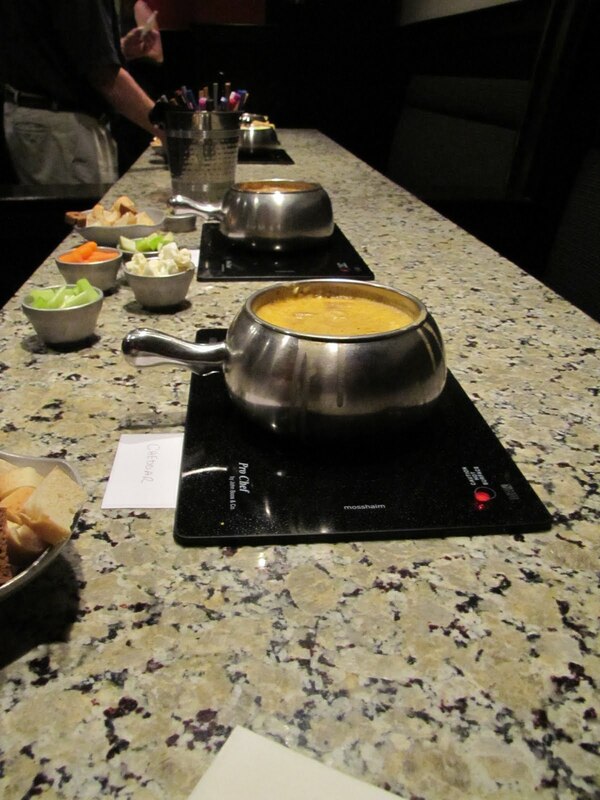 The Melting Pot is such a fun place to go with a group, relax, enjoy a nice glass of wine from a good collection, and play with your food! 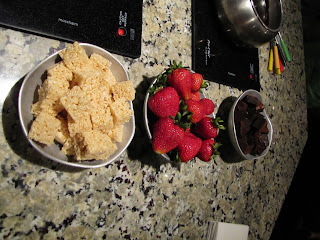 I had such a good time hanging out with everyone, and what's not to love about cheese and chocolate? Oooh Pam! Brie and Chocolate...that sounds like a lethal combination!!!! Thanks for the tip! It was great meeting you and everyone else! :) I loved those rice crispies . . . .